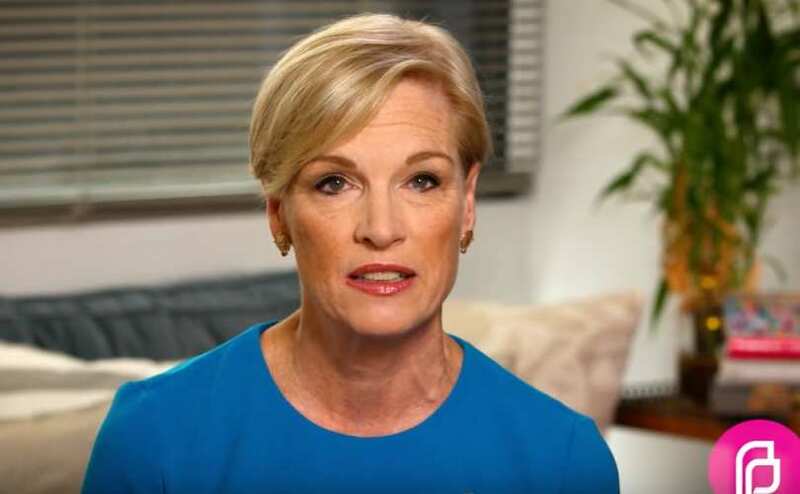 Planned Parenthood’s Cecile Richards confirmed in a video announcement this morning that she is resigning as president from America's largest abortion chain this year. “Today I am announcing I will be stepping down from my position as president of Planned Parenthood this year,” said a smiling Richards in the video. Richards has given no indication what she intends to do after leaving her post as the head of America’s largest abortion provider. No replacement has even been hinted at. She said working for Planned Parenthood "has been the greatest honor of my life." Richards has overseen America’s largest abortion vendor since 2006. Her salary continually increased as did her tenure. She currently rakes in nearly a million dollars a year overseeing the organization that commits over 300,000 abortions annually. An estimated 3.5 million babies have been aborted under her watch. "Planned Parenthood has helped tens of millions take control of their health and their futures by providing birth control, pap smears, breast exams, STI testing and treatment, and safe, legal abortion,” Richards stated in the video. Richards said America’s currently low rate of “unintended pregnancies” was due to “the life-changing and life-saving work of Planned Parenthood." Marjorie Dannenfelser of the national pro-life group Susan B. Anthony List (SBA List) commented on the news, calling Richards "a strong leader in a tragically wrong direction." “Planned Parenthood is swimming against the tide of history. Its public favor is on the wane as pro-life momentum is on the rise. Her successor is left with an impossible job: sell a scandal-laden, failing organization that, contradicting its name, provides pregnant women with prenatal care only 2.3 percent of the time," she said. "Over the last few years despite record income courtesy of U.S. taxpayers, Planned Parenthood’s non-abortion services are in decline, clients are abandoning them for comprehensive alternatives, and dozens of facilities have closed. They are facing federal investigation for their role in the harvest and sale of aborted babies’ body parts for profit. Under the pro-life Trump administration, their half billion dollars a year in taxpayer funding is no longer secure,” she added. President Trump’s pro-life mandate continues to threaten the very existence of the abortion giant. “As Planned Parenthood faces federal criminal investigation from the FBI and DOJ for selling aborted baby hearts, lungs, livers, and brains, Richards’ departure shows that the old strategy is no longer working – the secret is out that Planned Parenthood is a taxpayer-sponsored crime syndicate of industrial-scale child killing, and even Cecile Richards can no longer put a friendly spin on it,” David Daleiden of the Center for Medical Progress told LifeSiteNews. “In any case, this news indicates a destabilized Planned Parenthood organization, and as long as they are in disarray, they can't expand their abortion enterprise, and that is good news,” said Newman. Under Richards’ leadership, Planned Parenthood pushed the myth that the 300,000+ abortions her company commits every year are only three percent of its services. Live Action debunked that statistic in 2016. According to its own annual report, during the 2016-2017 fiscal year, Planned Parenthood aborted 321,384 babies and received $543.7 million from the government. That $543.7 million from taxpayers is 37 percent of its $1.46 billion budget. Dr. Mengele had an understudy. This monster is her.